Native American masks were an important part of the Native American culture. They were used during ceremonies, given as gifts, and each one was hand crafted. Native American masks were usually created in the likeness of an animal. These animals represented certain Native American ideas such as spirits, status and characteristics. 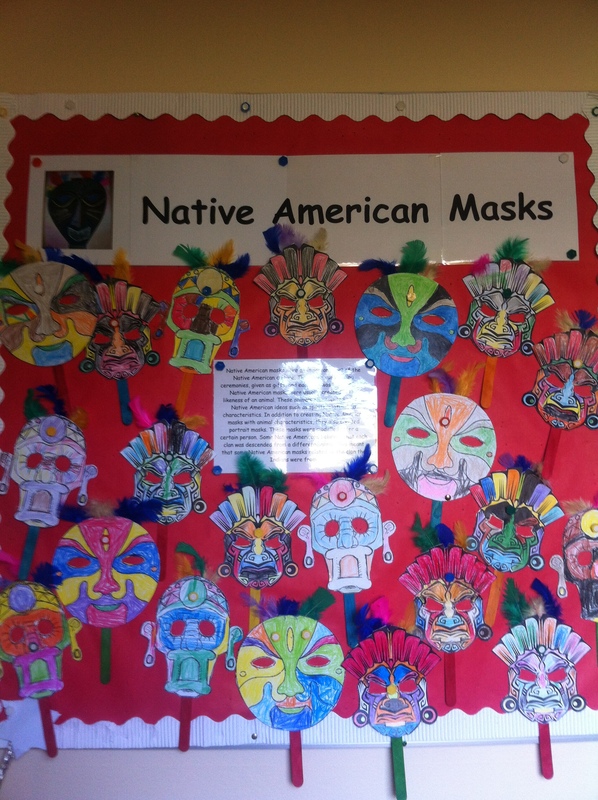 In addition to creating Native American masks with animal characteristics, they also created portrait masks. These masks were modelled after a certain person. Some Native Americans believed that each clan was descended from a different animal. This meant that some Native American masks related to the clan the Indians were from. We did a nature walk around our school in October. In Autumn, the leaves change colours and they fall off the trees. The leaves are red, orange, brown and yellow in Autumn. There is a big sycamore tree beside our school. Sycamore seeds look like helicopters. They spin through the air when they fall from the tree. 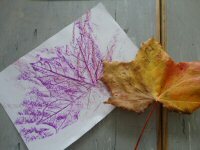 We collected some leaves on our nature walk and we brought them back to the classroom to make leaf rubbings with them. We put a leaf under a piece of paper. 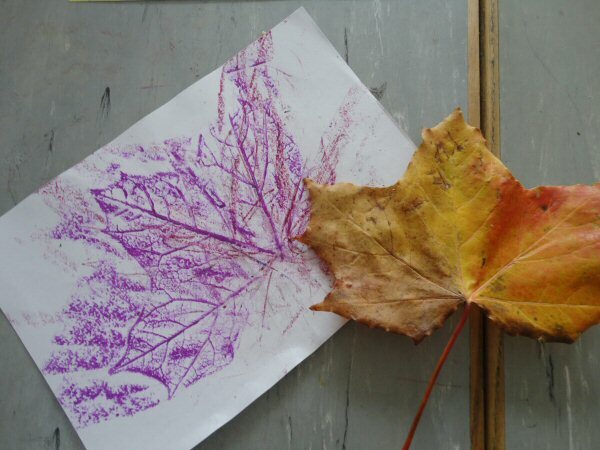 Then we used crayons to rub the piece of paper and the pattern of a leaf appeared! We made daffodils with egg cartons for Spring. This is a colour wheel. It has 6 different colours on it. We made the wheel by mixing different colours together. There are 3 primary colours; blue, red and yellow. In our groups, we mixed the primary colours together and we painted colour wheels. When we mixed blue and yellow together we got green. When we mixed blue and red together we got purple. And when we mixed yellow and red we got orange. The colours we made are called secondary colours. We do lots of painting in school. We made clay creatures in school. We made snakes, snails and caterpillars. First of all we rolled the clay into small balls. Then we got lollipop sticks and put them through the clay balls; this helped to keep them together. Then we used match sticks for the caterpillar’s eyes and mouth. We made eyes and a mouth for the caterpillar by rolling clay into small pieces. When the clay was dry, we painted them.